For years, the beauty industry has collectively touted the benefits of dunking our strands in basically every kind of oil you can find at your local supermarket. Coconut, olive, black seed (Kim Kardashian West's personal favorite), jojoba, and even more delicate essential oil offerings like rosemary, lavender, cedarwood, lemongrass, and peppermint have all been praised, but there's another lesser-known oil that has been raising many an eyebrow in terms of hair-growing prowess: castor oil. 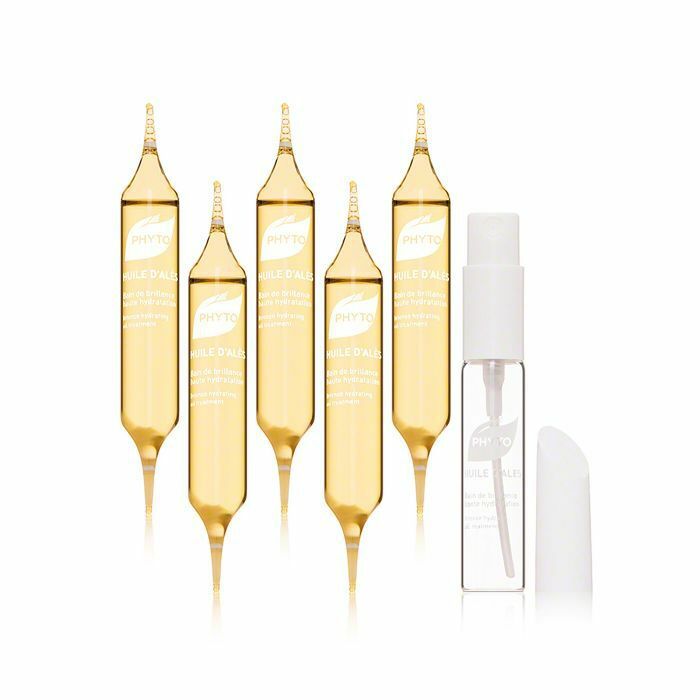 Specifically, many people (Byrdie editors included) have experienced impressive results after applying castor oil to their brows with the goal of increasing hair growth. So shouldn't the age-old remedy work the same type of magic on the tops of our heads? Its skin- and irritation-healing benefits date back to the ancient Egyptians, ICYWW. Here at Byrdie, we take hair health and our never-ending quest for luminous, shiny, growth-happy strands very seriously. 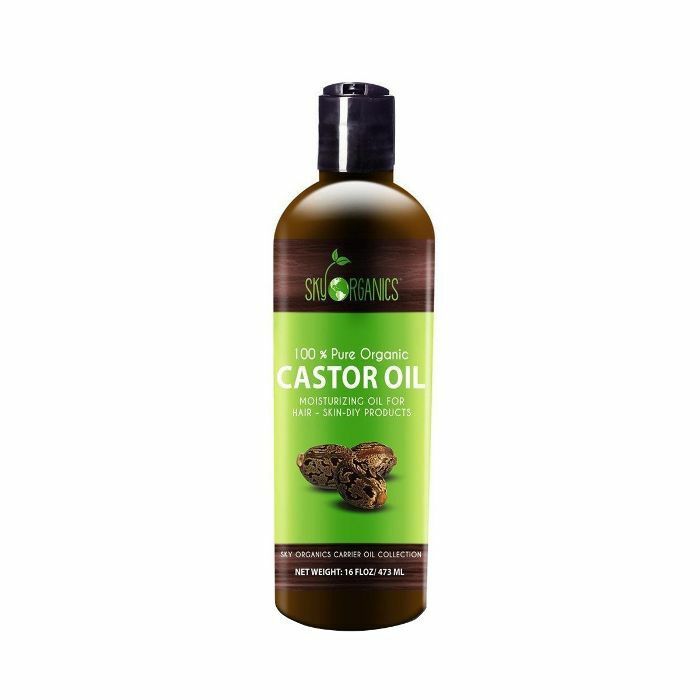 Therefore, we dug a little deeper into castor oil and all its glossy potential. Ahead, everything you ever wanted to know about castor oil for hair and whether or not experts think it can actually enhance the rate your strands grow. Keep scrolling! According to industry-leading dermatologist Rachel Nazarian, MD, of Schweiger Dermatology Group in NYC, castor oil can indeed be useful in certain cases of hair loss. A big fan of castor oil in general, she explained to us that unlike most other oils, which can veer mostly fatty, castor oil has a unique nutritional makeup composed of a powerful mix of proteins, vitamins, fatty acids, and antioxidants (aka the internal workings of all the buzziest hair supplements on the market). Thus, it comes as no surprise the oil is a wonderful way to nurture the scalp and fragile hair follicles while simultaneously encouraging healthier, faster hair growth. Because of this, castor oil has increasingly become a key ingredient in many of our favorite hair-related beauty products as of late. Don't worry—we'll share our recommendations with you in a few! Nazarian says that while the oil is a known irritant for many people, strategically applying a very small amount to your scalp or eyebrows may induce hair regrowth through a specific, localized region. That said, since it's an oil, a little will go a long way. You know the phrase, "Everything in moderation"? Yeah, please don't go and dump an entire bottle of the stuff atop your strands. "As always, it's best to be cautious. You want to avoid overdoing it or getting it in your eyes and/or other sensitive areas," Nazarian warns. Additionally, Nazarian tells us castor oil is thought to enhance and increase the absorption and effectiveness of other products. In other words, if incorporated into your normal hair ritual, your other products might actually penetrate more effectively, which will only do your hair's health and growth ambition a favor in the long run. After all, a clogged and residue-filled scalp does not a gleaming, Rapunzel-esque mane make. The short of it: A clean and healthy scalp is what will be the determining factor in regard to hair growth—not necessarily the castor oil itself. "Studies have shown castor oil to be an effective and gentle method of cleansing your skin," Nazarian explains. "Because it's polarized, the castor oil actually attracts dirt and effectively cleanses the skin." This and its high content of ricinoleic acid may help improve blood circulation at your scalp, which results in nutrition for the hair follicles, stronger strands, and less breakage. Additionally, castor oil is a humectant, which essentially means it's an excellent vehicle for locking in moisture and shine. And as we know, moisturized (aka not dry, damaged, and split-prone) hair is far more likely to grow at an expedited, healthier rate. Now, not to be the bearer of bad news, but some experts very strongly negate the correlation between castor oil and hair growth. They acknowledge that while the stuff may help in the way of conditioning, the idea that it will increase hair growth is completely anecdotal and a myth. Additionally, some people have even experienced hair fallout after using the stuff. Eek. "Castor oil will not grow hair," cosmetic chemist and author Perry Romanowski told Allure earlier this year. "There is no evidence for it and no scientific theory supporting that it would work, so yes, it's a total myth." That said, the publication did point out that Romanowski said castor oil won't damage the hair and may have some of those aforementioned conditioning perks that could help improve our hair fibers' flexibility. In pursuit of a second opinion, Allure reached out to Adam Friedman, a program director at The George Washington University School of Medicine and Health Sciences, who wholeheartedly seconded Romanowski's blunt words. "While it does have antimicrobial properties which may be useful in terms of fighting off bacterial or fungal overgrowth on the scalp that can lead to hair-damaging inflammation, there is zero evidence [showing] it is helpful for hair growth," he told the publication. In fact, as Nazarian mentioned to us, he points out that some people can find the oil irritating or even allergenic, which can invite bothersome and detrimental inflammation. So, what to do? If you're seeking hair growth (40% of people struggling with hair loss are women, after all), the first and most helpful thing to do is pay your dermatologist a visit. That said, experts seem to agree the oil is safe enough to cautiously experiment with at home. Just keep expectations realistic and heed their advice of using a small amount during application to ensure you don't experience any adverse reactions. Or, if you don't want to use the stuff straight, keep scrolling for some of our favorite castor-oil product picks! Even though this ingredient list is short and sweet (featuring lemon, castor, and moringa oils only! ), it's a surefire bet if you're looking for a serum to lend velvety softness to strands. 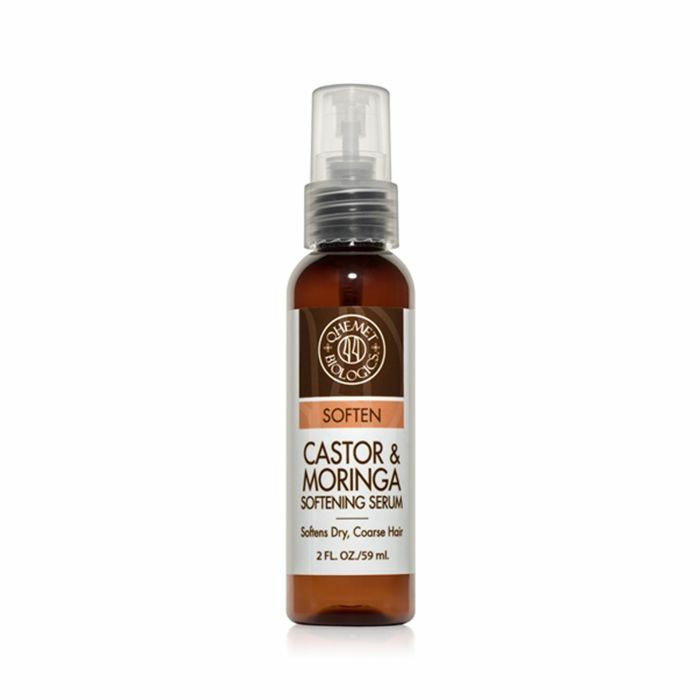 We'll just say this: If Kelly from Passport to Paris had this castor oil–infused repair cream on hand, she wouldn't have been the punch line of one of the most legendary quotes from the Ashley and Mary-Kate Olsen flick circa 1999. 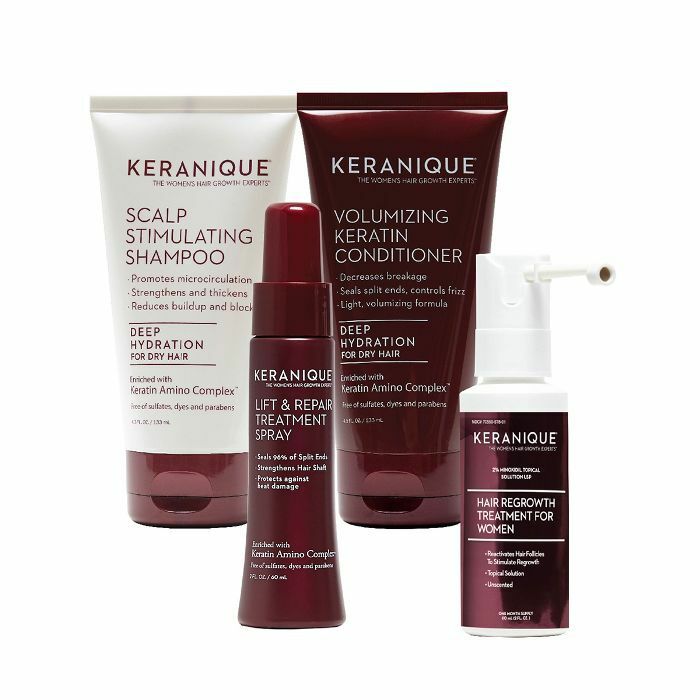 Complete with scalp-stimulating shampoo, hydration-ensuring conditioner, lifting and repairing treatment spray, and a hair regrowth mist, this kit is specifically designed for women with fine, thinning hair. 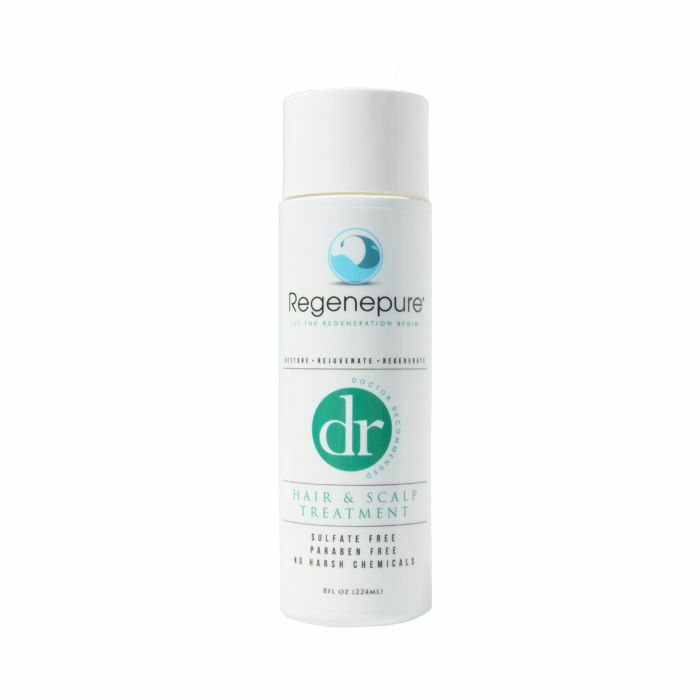 Plus, it contains minoxidil, the only ingredient approved by the FDA to effectively treat hair loss. 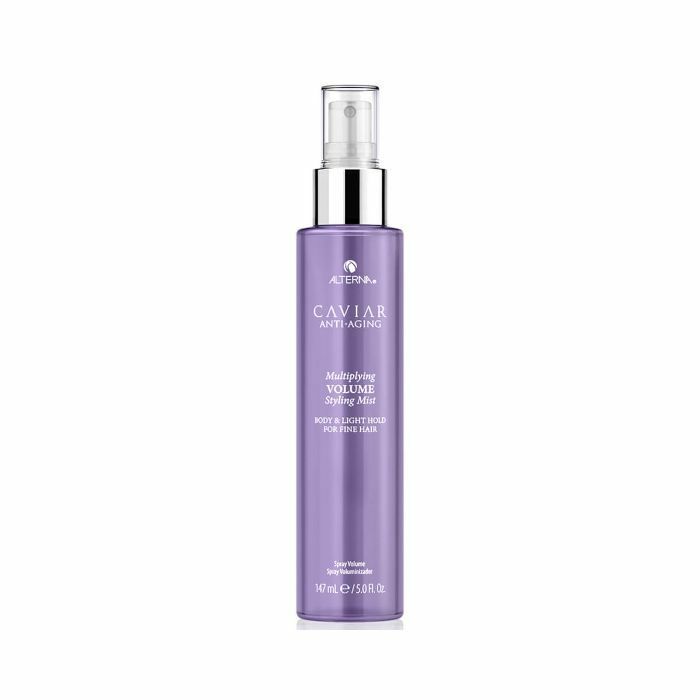 A heavy-hitting multitasker filled with tons of good-for-your-hair ingredients, this strategic mist plumps up hair for lots of movement, lots of body, and lots of shine. This strand-saving treatment gifts limp hair with nourishing fare which will help hair feel fuller quicker. Its MVPs? Niacin, wheat protein, vitamin B6, and a master mix of castor oil, emu, and jojoba oils. 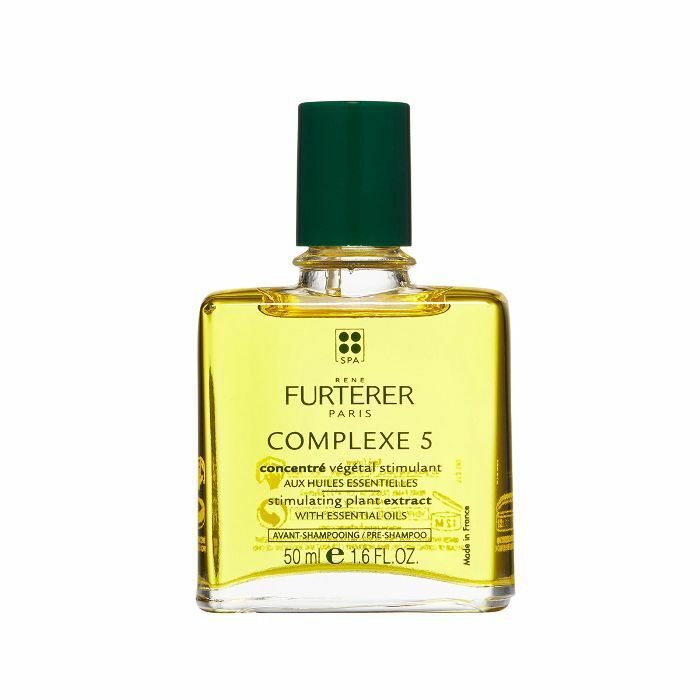 Rich in oils strategically compiled to help boost circulation, this epic blend from René Furterer will help rejuvenate hair with shine, body, and strength. Plus, thanks to the castor oil, your scalp will feel squeaky clean and better equipped to absorb the elixir's other powerhouse ingredients. 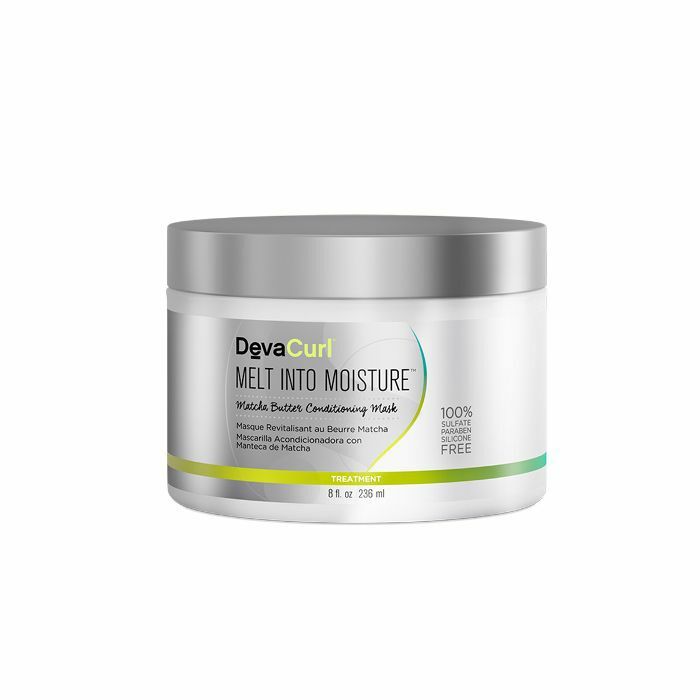 To keep curls quenched, damage-free, and in tip-top shape, we recommend this castor-matcha duo mask from DevaCurl. Trust us—starved, thin, lackluster strands will thank you. Nope, Kale doesn't just make for a fiber-filled, cruciferous salad base, folks. When combined with sea kelp, castor oil, vitamins, and amino acids, it comes together to form this aptly named bionic hair tonic to save you from bad hair days. This melding of castor oil, amino acids, and essential oils not only looks pretty on your vanity, but it will also provide immediate relief for dry, ravaged strands. We keep these on hand all year long since they work miracles during the bone-dry dead of winter and the sun-saturated days of summer. 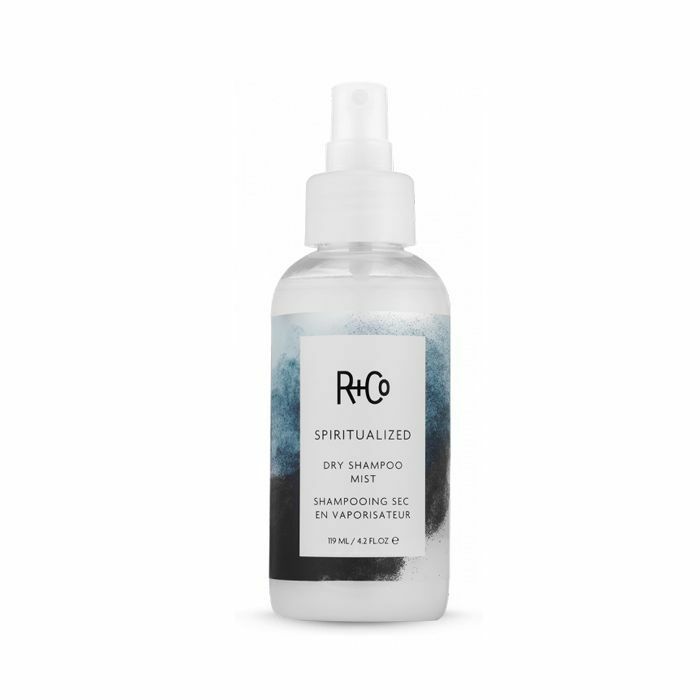 Managing editor Lindsey Metrus (who has fantastic hair, by the way) is a big fan of this game-changing dry shampoo from R+Co. 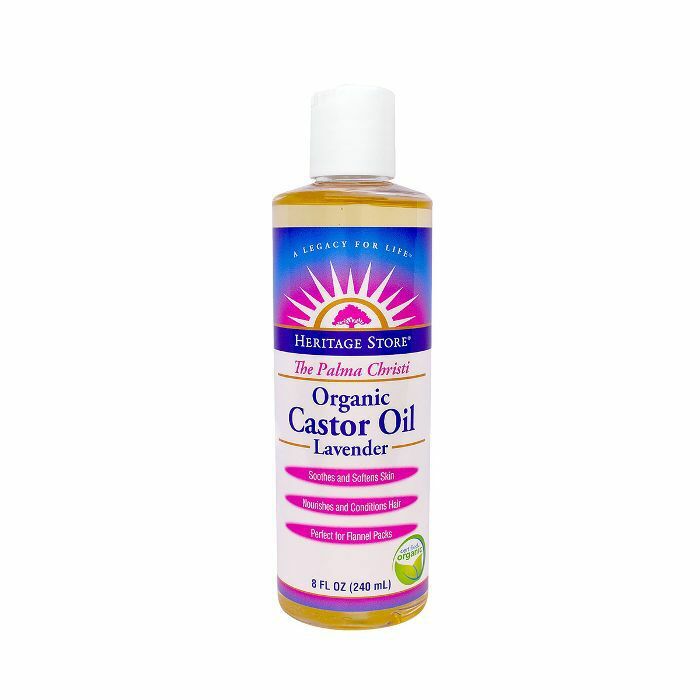 The castor oil maintains essential moisture while other power players keep residue, itchiness, and irritation at bay. 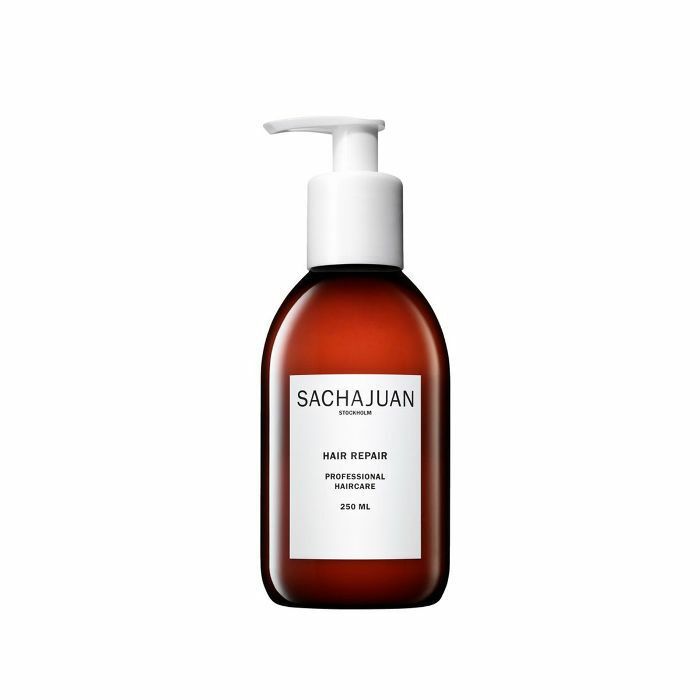 Almost every hairstylist we talk to adores the likes of Sachajuan, and this repairing treatment is no different. 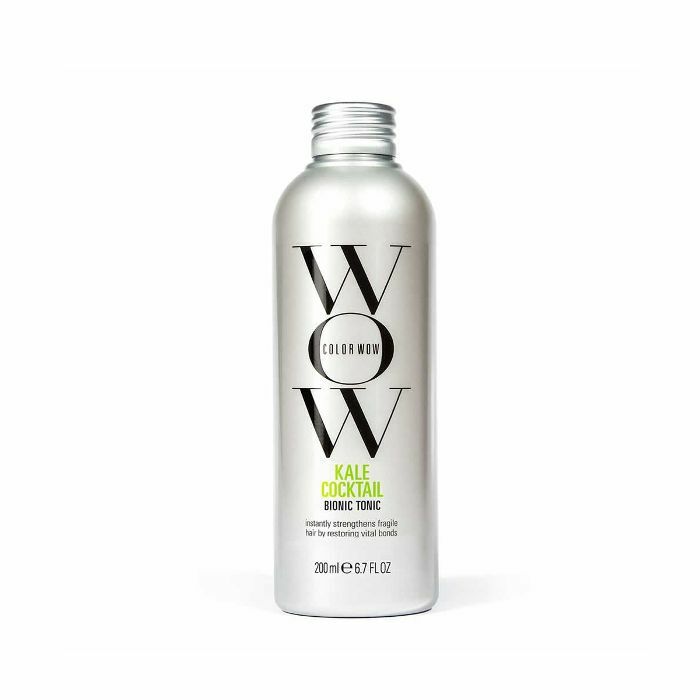 Great for dry, stressed-out hair, it incorporates ocean silk technology to revitalize the hair while lending an epically smooth finish.